Each year, more than 2,500 people die and nearly 14,000 are injured in home fires nationwide. As many of these fires are preventable, AAA Utah and the Murray City Fire Department are teaming up for a special event called "Ready on the Home Front" to provide individuals and families with home fire safety tips. 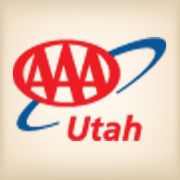 The event will take place on Thursday, Oct. 25, from 4-6 p.m. at the AAA Utah Murray branch, located at 5207 S. State Street in Murray. The event will feature educational materials on home fire safety prevention, instructions on the proper use and maintenance of smoke alarms and fire extinguishers, giveaways, tours of the fire engine, and Q&A with firemen and AAA Utah home insurance agents. Free smoke alarms will be available while supplies last. Visit facebook.com/AAAUtah and click on events for more information.